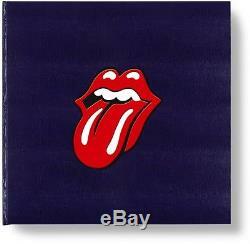 This is a limited collector's edition of Taschen's The Rolling Stones , signed by all of the band members. SUMO size hardcover in clamshell box, 50 x 50 cm 20 x 20 in. , with 3 fold-outs and silkscreen printed chapter openers, 518 pages. Over 500 pages of incredible images from some of the worlds greatest photographers, including David Bailey, Peter Beard, Cecil Beaton, Bob -Bonis, Anton Corbijn, Annie Leibovitz, Gered Mankowitz, Helmut Newton, Norman Parkinson, Bent Rej, and Ethan Russel. A foreword written by President Bill Clinton. Three new essays from award-winning writers David Dalton, Waldemar Januszczak, and Luc Sante. Appendix including Stones in the media, a Stones timeline, a discography, and photographers biographies. 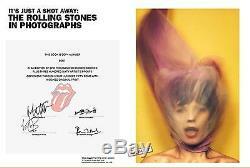 The item "The Rolling Stones Photographic Book, Signed Limited Edition / Taschen" is in sale since Tuesday, May 30, 2017. This item is in the category "Collectibles\Photographic Images\Contemporary (1940-Now)\Celebrity\Music". The seller is "daniellhamilto_61" and is located in Encino, California.